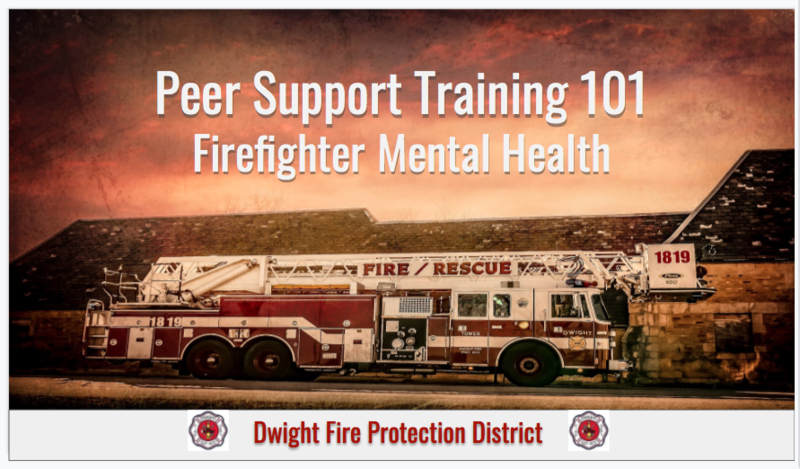 Dwight Fire Protection District recently rolled out their new mental health peer support program a direct response to the alarming number of suicides amongst first responders. With only 5 percent of the nations fire departments having in house support, DFPD is committed to the well-being of the departments firefighter men and women physically and mentally. The program provides trauma trained firefighter support to firefighter through confidential one-on-one counseling with continued mental health training's through out the year. With recent reports as high as 37 percent of firefighters are experiencing PTSD, anxiety, and depression this program seeks to provide preventative care in order to not only put firefighters mental health as a top priority, but also continue to provide the best care and service for the community as a whole.